His goal as a Coach is to learn and focus on building the Athlete to become better than they were yesterday, towards their greatness. Understanding the Athlete in order to provide the grounds of opportunity is a crucible step in our process. The next step is to lay the foundation with a strong mentality, sound fundamentals, and attention to detail. Chet first found a second home in the gym at an early age to improve his performance in sports such as hockey and baseball. When his competitive sports days were over, he continued at the gym focusing more on bodybuilding. He received a Fitness and Health Diploma from Durham College and began a career as a Personal Trainer. 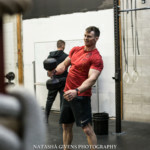 After a few years of working at common fitness facilities, he was approached by a box owner to become a CrossFit Trainer. 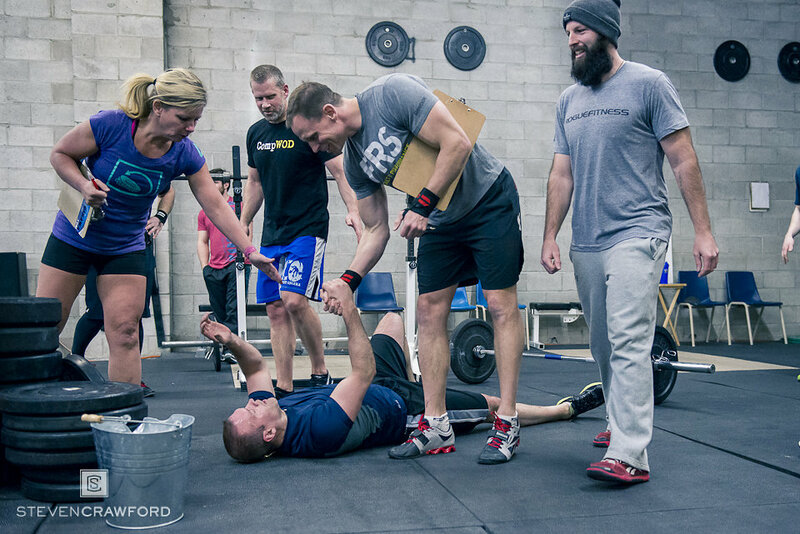 Having never done a WOD in his life, Chet accepted the position and went to complete his Level 1 Certification. Assuming he was already in great shape, having trained his whole life, how hard could it be right? The first workout performed was FRAN and it wasn’t long before Chet found himself the last one with the rest of the class cheering him on to make it under the 10 minute cap, which he did not. As strange as it might sound, it was at this moment, that he fell in love with CrossFit. The competitiveness, the atmosphere and the challenge to improve every day has change his outlook on fitness. 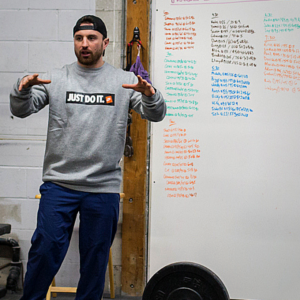 Now, Chet has been training in CrossFit for 3 years and is a Certified Level 1 Trainer, with, a 2:37 Fran time. Tanya is a Level 1 Certified CrossFit Instructor, CrossFit Nutrition Certified, and CrossFit Certified in Olympic weightlifting. She is currently a teacher in the KPR District School Board. She graduated from Laurentian University in the Bachelor of Arts (English Literature, Instrumental Music) and Bachelor of Education (Primary, Junior, Intermediate, and Senior) with honours. Tanya first dabbled with CrossFit in 2009 and became serious in September 2010. 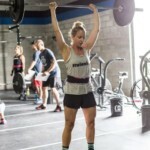 She says “CrossFit is a sport that is fun, challenging, addicting, and always an accomplishment.” Tanya thoroughly enjoys her teaching profession and eagerly welcomes opportunities to instruct CrossFit. Her passion is working with children; Tanya loves coaching children due to their high energy and attitude to try anything. Anna has been a member of Crossfit Oshawa since September 2010. Anna soon realized the importance of nutrition for optimal health and well-being​ for herself and her growing family. In 2015 Anna started her Holistic Nutrition studies through the Canadian School of Natural Nutrition and graduated 1 year later as a Certified Holistic Nutritionist. In 2017 Anna decided to take accountability of her own nutrition and eat to optimize training by seeking out the guidance of WAG. After seeing great success with WAG, Anna wanted to find a way to share this knowledge and success with the CrossFit Oshawa community. Anna has over 10 years of experience working in the health and wellness field​most recently working in corporate health and wellness promoting all aspect of health and wellness to employees and managing 4 corporate fitness centres across Eastern Canada. Anna has also completed an intensive WAG Coach Certification Program in order to become a WAG Certified Coach. Highlight your areas of expertise that you think pertain to ANY of the above programs.